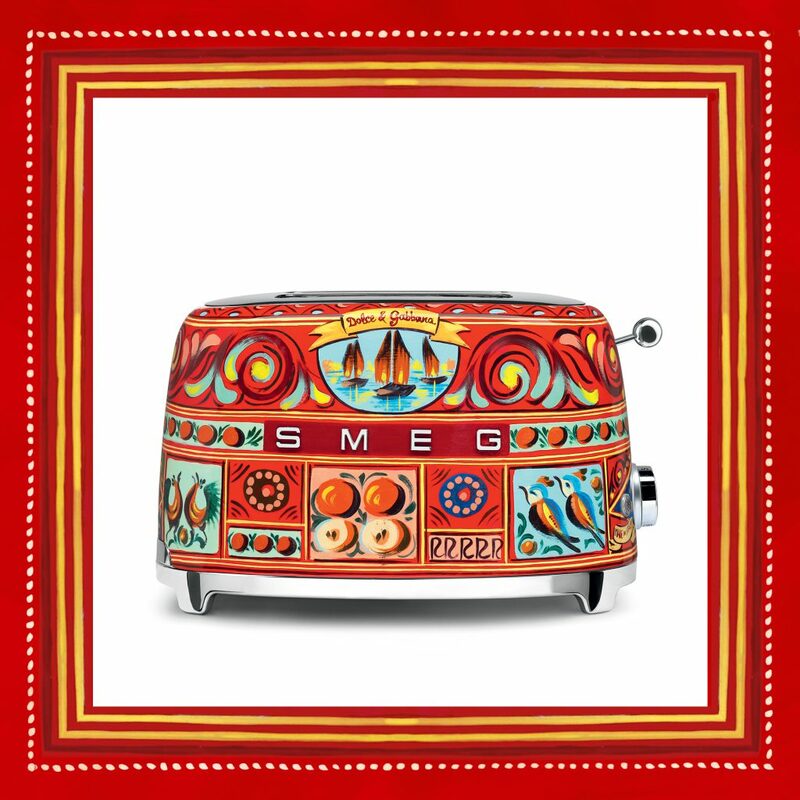 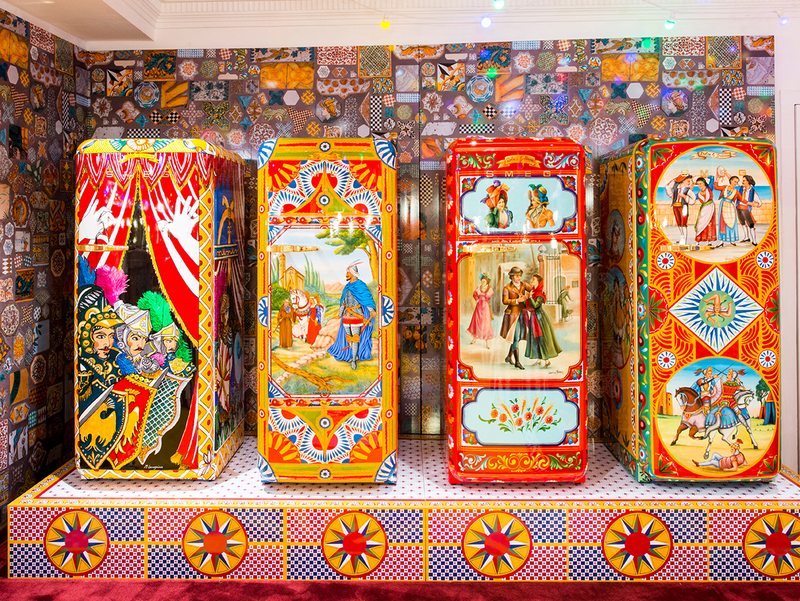 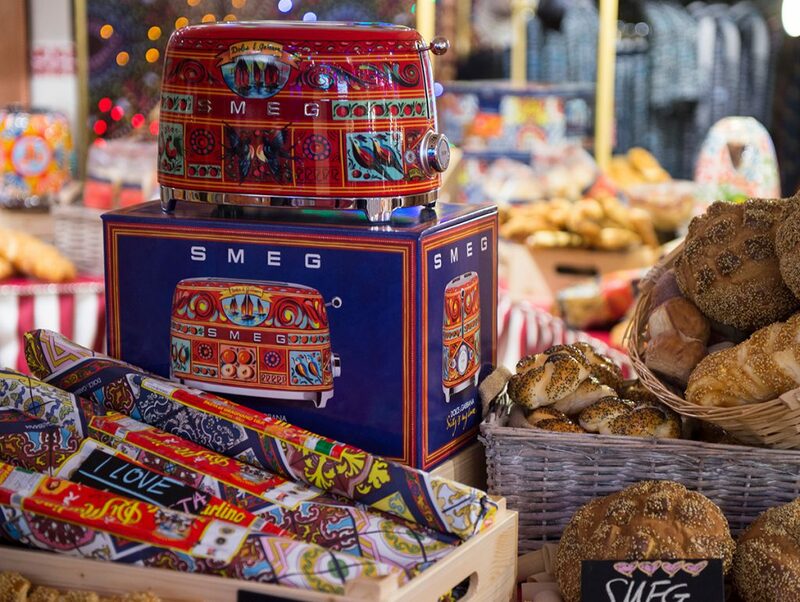 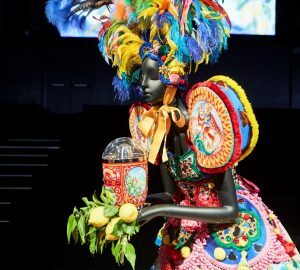 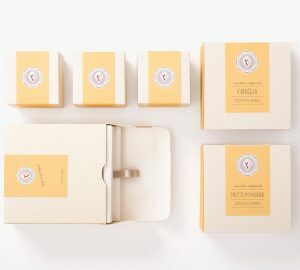 This year Smeg, Dolce&Gabbana and Harrods are celebrating the holiday season with a unique project. 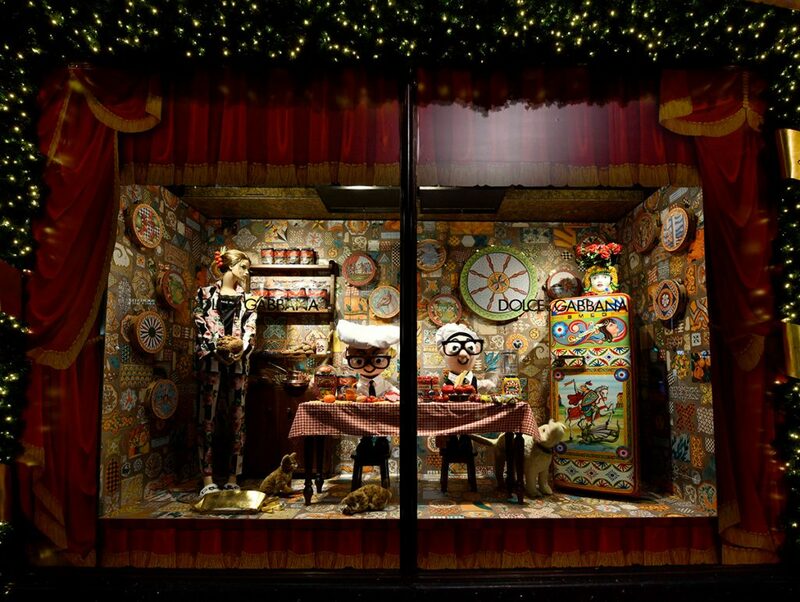 From November 2nd to December 28th in Harrods / London, the cosy, twinkling atmosphere of London at Christmas is going to be made even more special by the showcases of the most famous and celebrated British department store with a Dolce&Gabbana takeover. 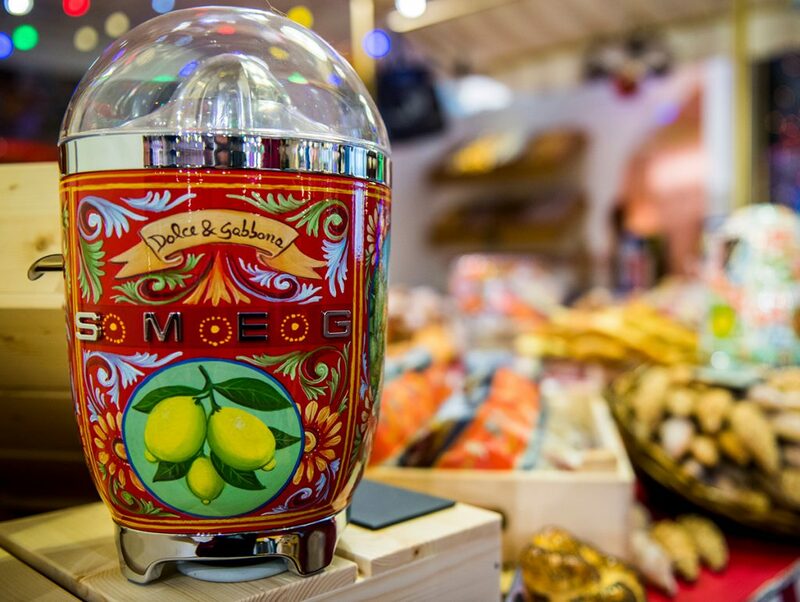 The showcases, sales spaces, and the creation of a traditional Italian-marketplace amidst puppets, lights, rides and well-groomed trees will all give off Italian and Sicilian style. 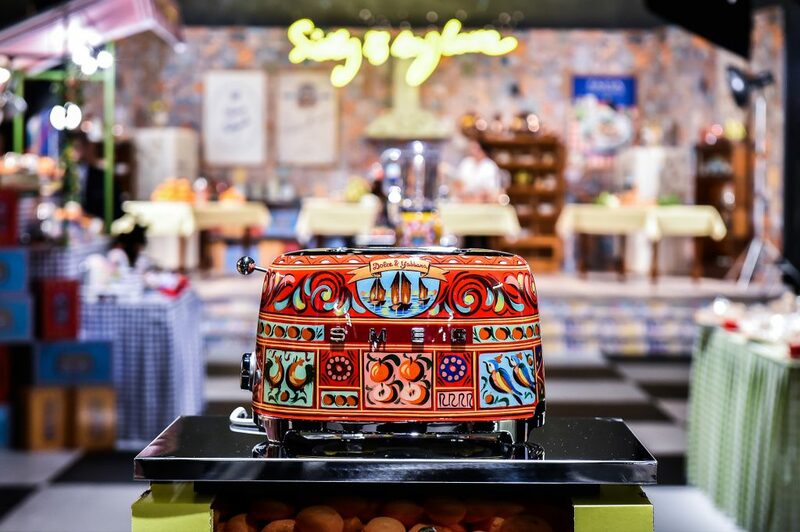 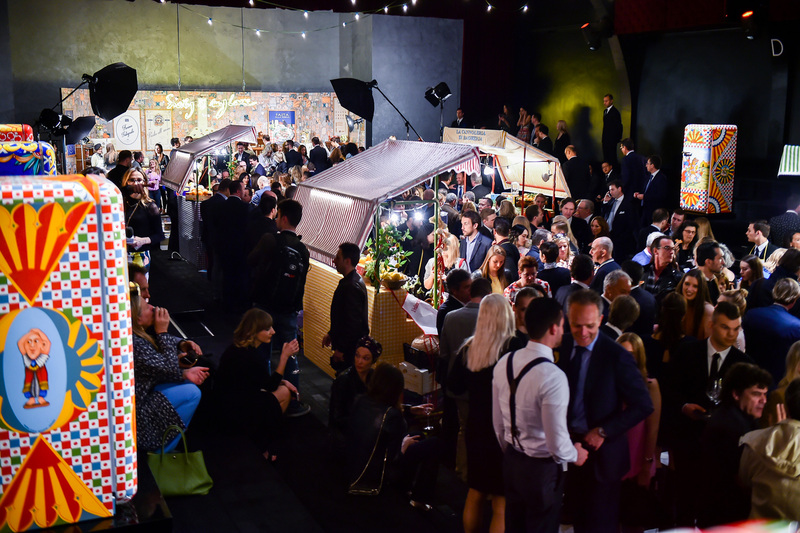 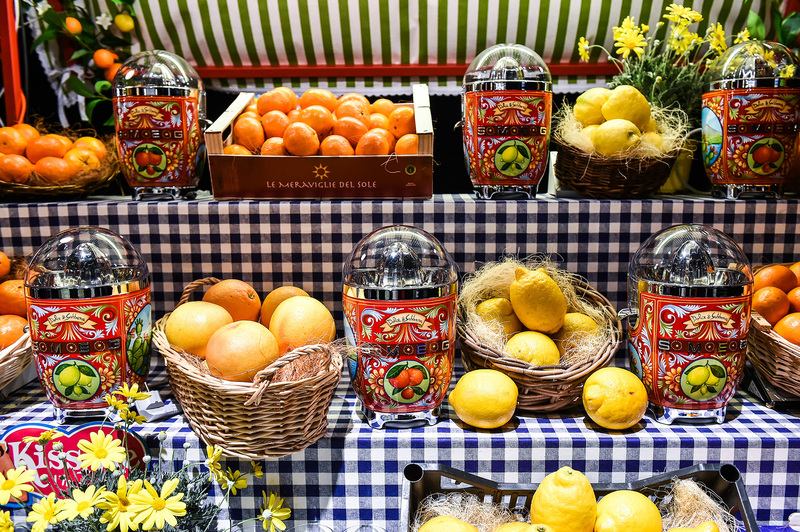 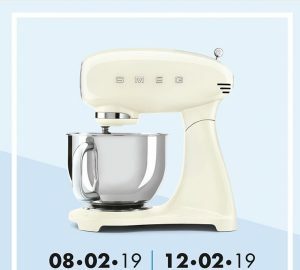 Smeg will have a fantastic showroom kitchen with Dolce&Gabbana decorations set up in this prestigious setting and an in-shop where the Sicily My Love collection citrus juicer and 2-slice toaster will be available for sale as an absolute world premiere. 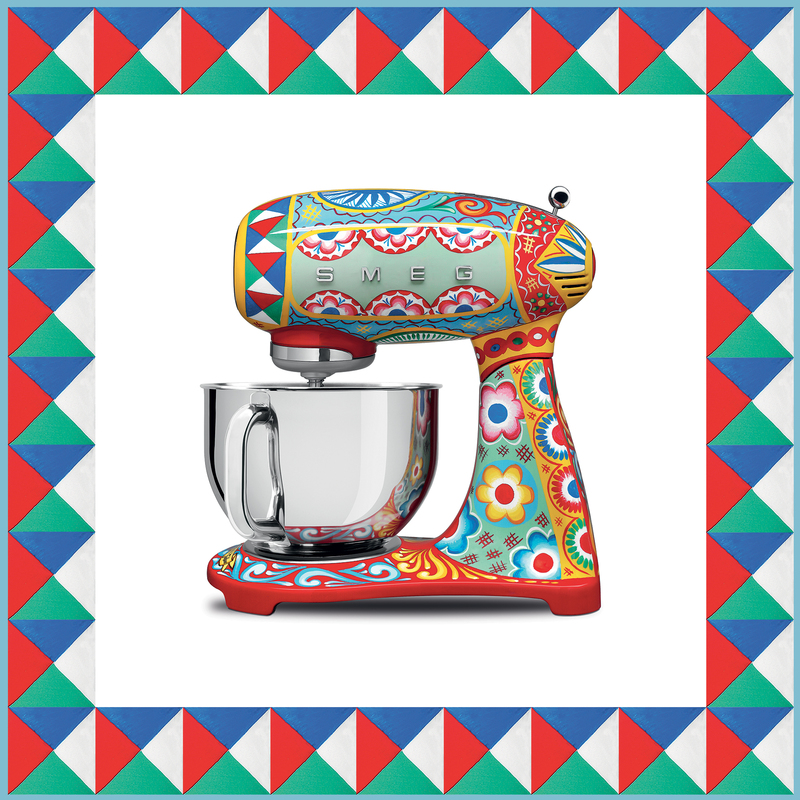 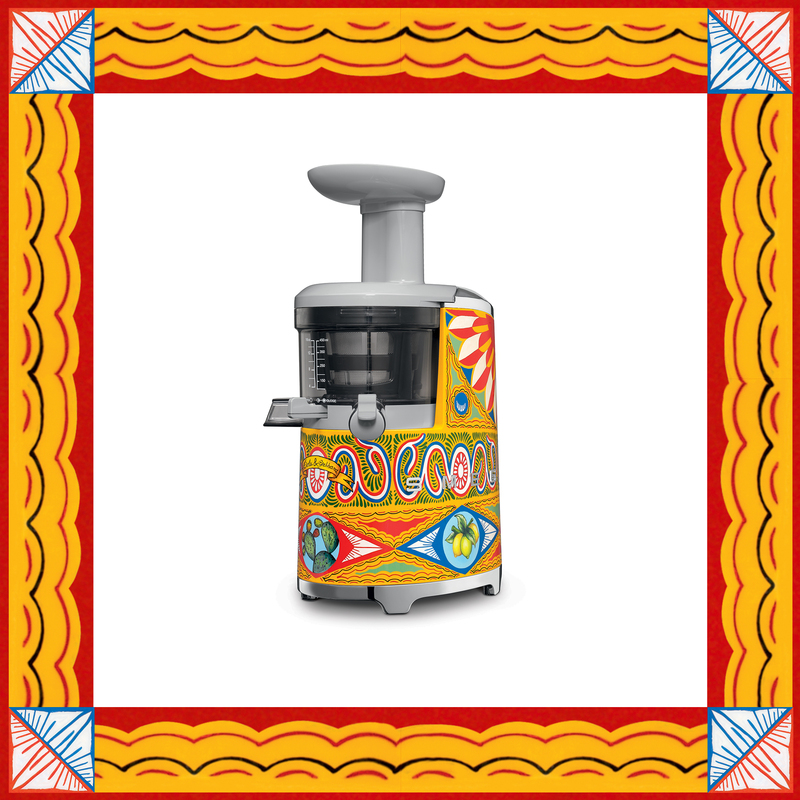 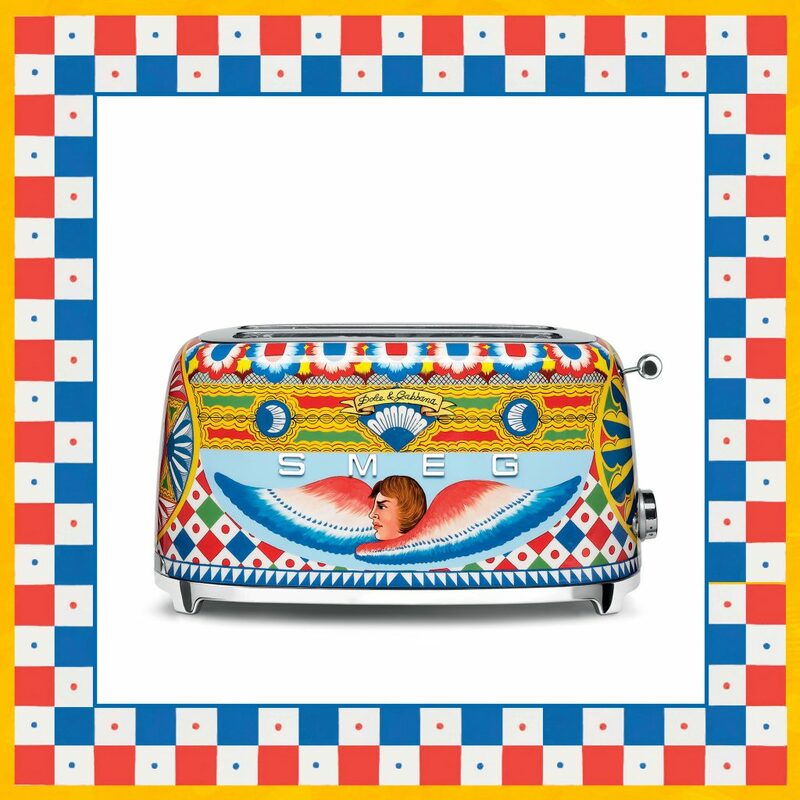 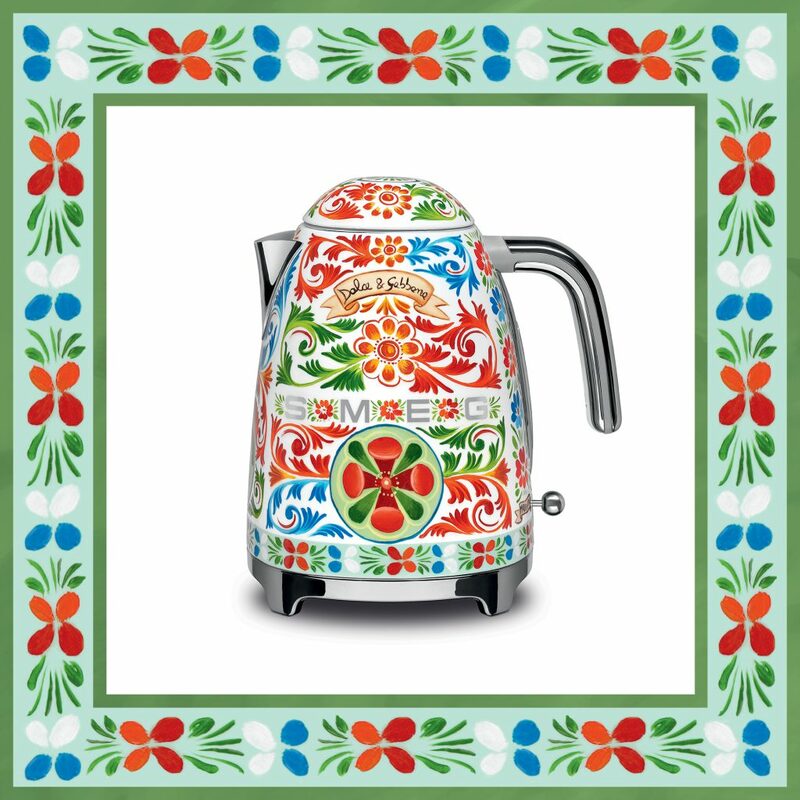 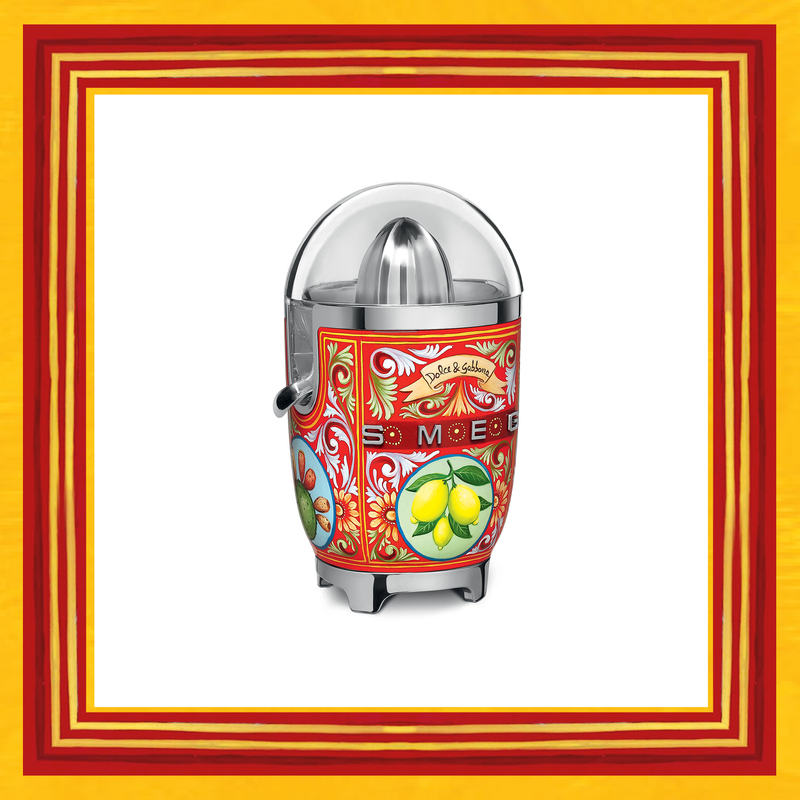 The Smeg small appliances collection has been created with Dolce & Gabbana creativity and each piece is decorated with themes echoing an aesthetic inextricably associated with Sicily, Italy and its cuisine. 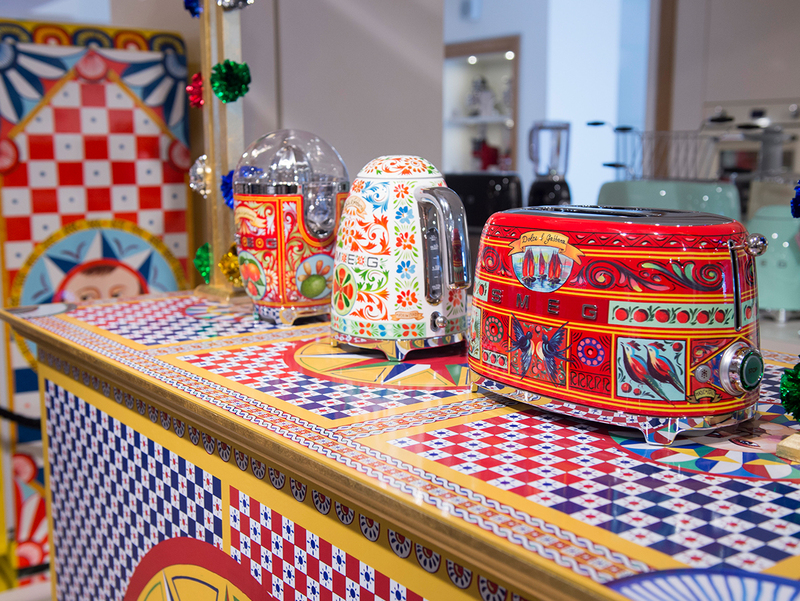 As well as the small appliances in the shop, the iconic Dolce & Gabbana 1950s Line of refrigerators will also be on display.